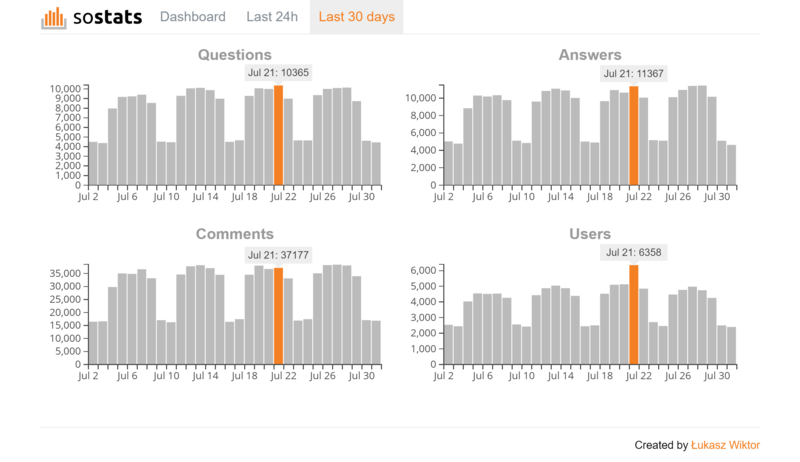 I wondered how many questions, answers or comments are being posted on Stack Overflow every day. How many users get registered? How does it depend on the day of the week? When are users most active? The Stack Exchange API gives me particular numbers but I wanted to see them together. 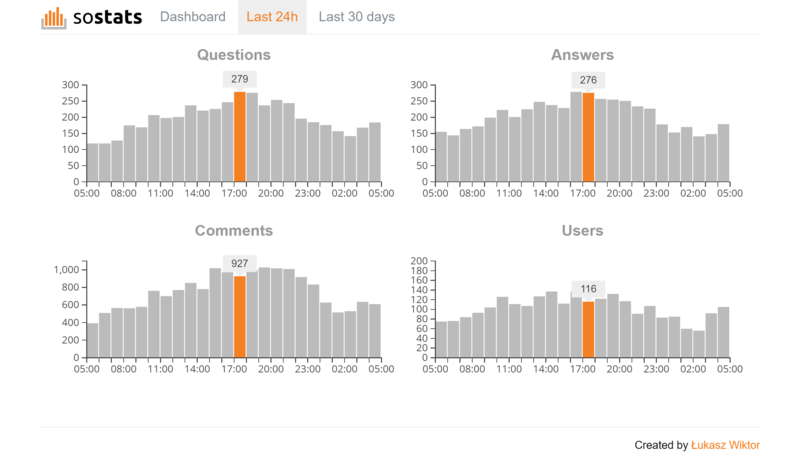 So I've built sostats - Stack Overflow statistics, a website that visualizes these numbers. 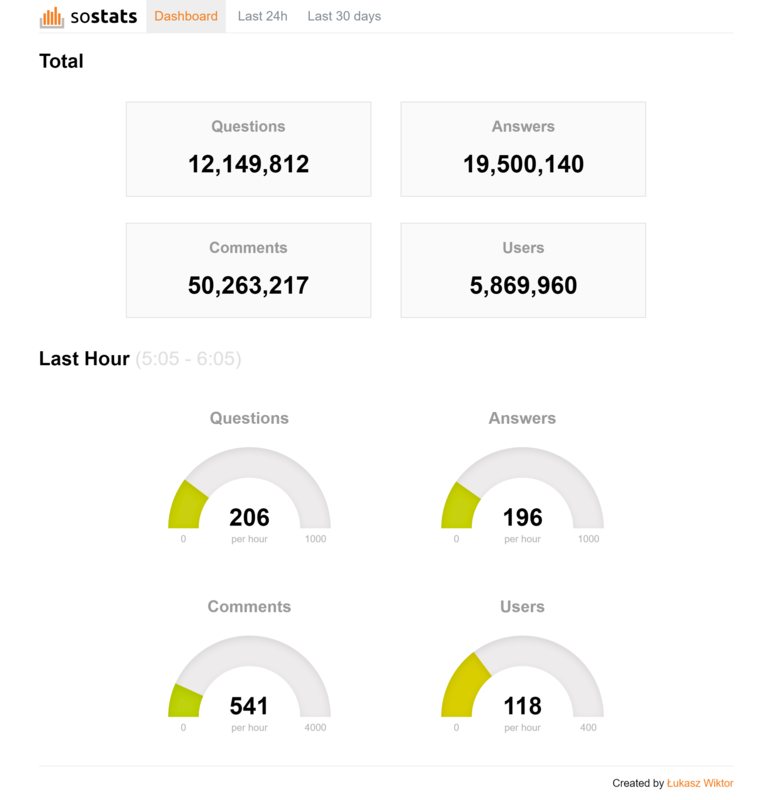 Browse other questions tagged app users website posts statistics .